Muslims using weapons from a country that is trying to exterminate Islam. Muslims, rulers or head of states, are weak. Greed. If they had follow the divine Holy book they wouldnt be at the present state. They would still be like those Islamic Golden Age era. There is no such thing as Islamic golden age. If there is, the whole world be influence by them. The Persian flourish during that time was because Europe was still in an infrant stage. Once they begin to be in power, Asia Minor became they back yard where they occasional go for hunting. Neighbors and relatives only knew the grandpa was a emeritus assistance manager of bank. His children only know that he was once with PLA troops. 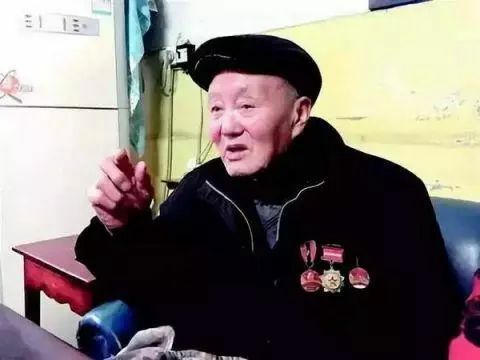 He had hidden his 特等功 Combat Merit Records and PLA medals for 63 years! The 95-year-old special hero will report for 63 years. His children only know that his father has been a soldier. Original title: Why did the 95-year-old fighting hero "hidden" the book for 63 years? △Photos are provided by the author. △Photos are provided by the author. In the early spring of Wuling Mountain area in western Hubei, it was warm and cold. Zhang Fuqing, an old man wearing a thick cotton jacket, was sitting next to the fire in the living room. When I saw a reporter in a military uniform, the old man stood up from the stool with one leg and the old man on the side quickly helped him, for fear that he would fall. 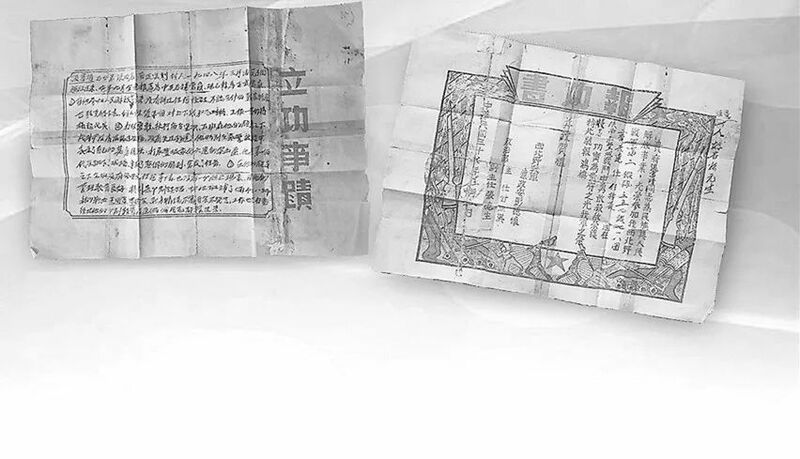 If it wasn’t for the information collection of veterans on November 3 last year, Zhang Fuqing took out the yellowing “reports book” and several medals. Almost no one knows that the 95-year-old man is a special hero. . His children only knew that his father had been a soldier, and his relatives and friends only knew that the old man was the deputy governor of the county bank. Why did the old man never show his own heroic achievements before? Behind the "storage" honor, what exactly is he holding on? At the beginning of March, we took a bus from Wuhan, Hubei Province to Laifeng County to visit Zhang Fuqing. Although the age has passed, the hearing is almost lost, but the old man’s spirit is loud and the voice is loud. It is particularly exciting to see the people coming from the army. In the chat, the old man couldn't help but sing the military songs of the revolutionary war years, and the memories also traced back to that period of time. "A rush to the ground, full of mind is to destroy the enemy, the key to success or failure is faith, will and courage." In 1924, Zhang Fuqing was born in Hanzhongyang County, Shaanxi Province. In March 1948, he participated in the Northwest Field Army. In the second column of the 359th Brigade, the 718th Brigade, the second battalion was a soldier. The old man said that after he arrived in the army, he often snored day and night, and the most impressed was the Battle of Yongfeng. At the Battle of Yongfeng, Zhang Fuqing’s six companies served as assault companies. At dawn, he and two comrades formed an assault group, and he took the lead to climb the wall of Yongfeng. He first jumped off the wall and fought a fierce battle with the enemy. "I took the submachine gun and swept the enemy, and all of the seven or eight enemies at close range were wiped out." Speaking of this battle experience, the old man danced as if he had returned to the battlefield of that year. He said that when he returned to God, he felt blood flowing down his head, and with a touch of his hand, a piece of scalp turned up. He realized that a bullet had just flew over his scalp and left a shallow ditch on the top of his head. After repelling the enemies, Zhang Fuqing rushed under a bunker, scooping up a pit and wrapping the eight grenades and a dynamite bundle together to blow up the bunker. The battle continued until dawn. He blew up two bunkers and seized two machine guns. At the end of the battle, he escaped and the other two comrades in the assault group never returned. Recalling the comrades who died in the battle, Zhang Fuqing was full of tears. The old man said that he had participated in the assault team several times during the war, but his body was actually very thin. The key to winning the battle was not afraid of death. "A rushing to the ground, full of mind is to destroy the enemy, the key to success or failure is faith, will and courage." Speaking of snoring, the old man still looks proud. After the Battle of Yongfeng, Peng Dehuai went to the company to inspect and met with Zhang Fuqing and the assault group fighters. Peng Dehuai held his hand and said: "You have performed outstandingly in the Battle of Yongfeng, and made great achievements." 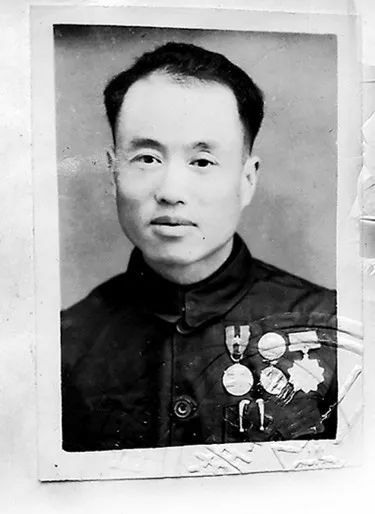 Zhang Fuqing was very encouraged at the time: "As a revolutionary soldier, a Communist Party member, I did what I should have done and completed the task. I am very touched by the organization’s giving me such a great honor." Later, Zhang Fuqing has been following the army's south levy and has won the honorary title of "Fighting Hero" twice. In addition to the "special merit" mentioned in the "Report of the Power", he also won the first prize three times and one time. Second class work. △ Zhang Fuqing. △ Zhang Fuqing. "Military people are not afraid of suffering, not afraid of being tired, do not care about personal gains and losses, and resolutely complete the task." 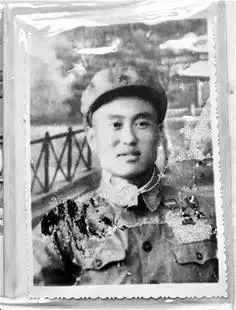 In 1955, Zhang Fuqing was already a full-time officer of the 359 Brigade. His troops faced adjustments and went to the local area to support economic construction. Zhang Fuqing, who has made many merits and injuries, could have chosen to return to his hometown of Shaanxi. However, he learned that the unit encouraged everyone to go to the place where the motherland needed it most. To support the construction in the border and mountainous areas, he chose to go to the remote mountainous area of western Hubei. It’s a lifetime in Laifeng County. In Laifeng County, the organization first arranged Zhang Fuqing to work in the county commune. Tian Hongli, 68, is a colleague of Zhang Fuqing at the Dongdong Commune in Laifeng County. When the reporter said that Zhang Fuqing was a fighting hero, Tian Hongli was very surprised. He had never heard of Zhang’s own experience. He recalls that Zhang Lao is a decent person and always picks the most difficult task in his work. When the members of the commune team allocated the work area, Zhang Lao first selected the most remote high-hole area, where there was no access and no electricity, which was the most difficult area of the whole commune. In the 1960s, the commune faced reforms and streamlining. At that time, Sun Yulan, the family member of Zhang Fuqing, was also a commune employee. Tian Hongli said: "Zhang Fuqing is the deputy director. Everyone is staring at it. If he cuts others, he will not cut his family, others will gossip; if he cuts his family, his wife will be laid off and unemployed." When the commune researched the reform plan, Zhang Fuqing stood up and let his family go home. "The commune has to complete its tasks, lead itself to be strong, implement policies to be determined, and mobilize others to do their jobs." However, whenever he recalls this, Zhang Fuqing still feels deeply embarrassed about his wife. After that, the elderly also worked in local grain bureaus, banks and other units. In any position, they maintained the image of the military. "Military personnel are not afraid of suffering, not afraid of being tired, do not care about personal gains and losses, and resolutely complete the task." At the Jianfeng County branch of CCB, many people know Zhang Fuqing, the deputy governor of retired, but have never heard of his heroic deeds. However, Li Ganlin, a 33-year-old young governor, still admires Zhang Fuqing. In November last year, Li Ganlin learned that the elderly had to undergo cataract surgery and needed to implant an artificial lens. He said: "You are a retired cadre, all medical expenses are reimbursed, you can choose a better eyeball crystal to ensure the effect." However, the old man finished the surgery and reimbursed, Li Ganlin found that he only chose the cheapest of more than 3,000 yuan. Eye crystals. Later, he learned that considering the crystal quality and physical adaptation, the doctor originally recommended Zhang Fuqing's eyeball crystals of 7,000 to 20,000 yuan. "At the time, a farmer who lived in a ward with me also did cataract surgery. He chose more than 3,000 yuan of crystals. I told the doctor that he would choose the same one." Speaking of this, the old man was very calm. He believes that as a 90-year-old party member, he can no longer contribute to the party and the country, and even less to the "excessive" demands of the party and the state. Most of the contributions to the party, less trouble for the organization, even after retiring, the old man's belief has never changed. In 2012, Zhang Fuqing's left knee suffered from a primary abscess that was life-threatening. The doctor performed a high-left amputation for his left leg, indicating that the rest of the elderly could only be spent in a wheelchair. After the operation and rehabilitation, the old man did not give up, insisted on daily exercise, practiced walking with auxiliary tools, and finally stood up again. In Zhang Fuqing's view, he is too old to do things for his family and for the party, but he must ensure that life can take care of himself and not bother the family and the organization. "I can't put a burden on my family. I have to concentrate on doing more for the party." After Zhang Fuqing’s deeds were reported by the media, the leaders of Laifeng County visited the door many times. The old man always said with emotion: "Many of those comrades who fought side by side with me have sacrificed. They have no chance to ask the organization any more. Compared to them, I have eaten and lived very well today. I have What qualifications are used to show off the merits? What qualifications are there to ask the organization?" The simple words conveyed the reason why Zhang Fuqing’s deep-rooted fame was 63 years old, and revealed the most simple inner monologue of a veteran. He also expressed the purest ideals and beliefs of a Communist Party member. You are talking rubbish that you have no idea, and COMPLETELY FOOLED & MISLED by Chow Ang Moh. 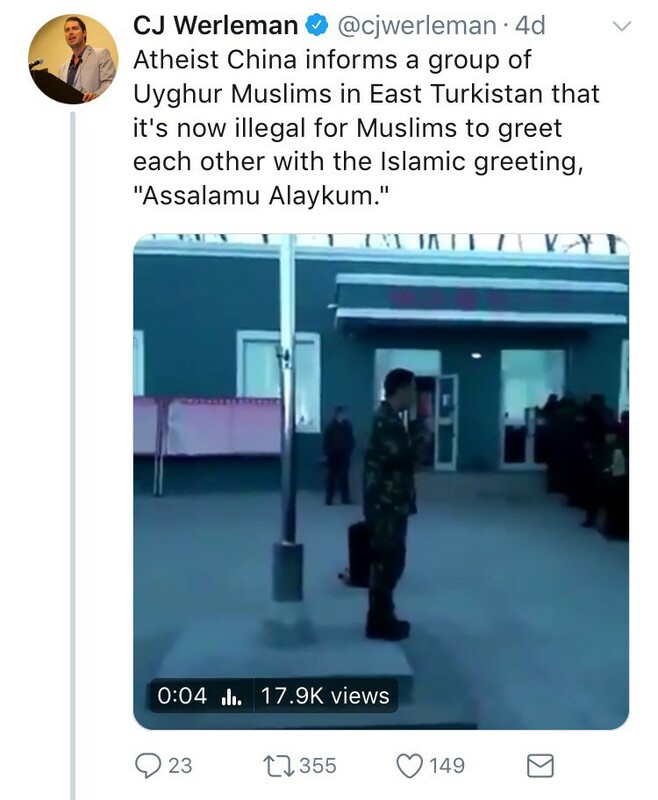 China have no problem with Islam, and have lots of military relationships with Pakistan Bangladesh Turkey Egypt Iran Iraq Saudi Yemen Uzbekistan etc. And Many African Muslim countries, like Sudan Libya Liberia Mali etc. China sold nuke to Pakistan & missiles. China sold ICBM Dong Feng 3 to Saudi. Chinese relations with Muslims are LUCRATIVE PROFITABLE & HAPPY. Chinese is not worried about Islam. Chinese CONQUERED & RULE Islamic people and Territories for centuries. Chinese are unlike Chow Ang Moh Chickens Cowards fearful of Islam. Chinese always WIN against Islamic hostiles. Totally under control. Chinese can afford the tiny insignificant losses and prices to suppress and overcome Islamic Terrorists. Not an issue at all. Chinese got lots of Rich Islamic customers and friends with all happy and money making businesses and military relationships. Muslim welcome Chinese weapon supplies cheap and best and ordering non-stop, sell oil & gas to China non-stop and by-past USD$ currency using RMB$. Muslims welcome Chinese contractors to build EVERYTHING for them, paying good prices lucrative MEGA PROJECTS. Selling minerals to China. Ports, airports, rail roads, dams, water system, pipelines, telecommunication networks, satellites launched by Chinese, Hospitals, factories, by Chinese, Plantations by Chinese, Smart Phones from China, every damn toys and electronics and goods from China, Vehicles from China, bridges and expressway build by Chinese. Chinese relationship with Muslims are EXTREMELY HAPPY & LUCRATIVE. WIN-WIN! Chow Ang Moh are the only SORE LOSERS fearful of Muslim and dream to rid Muslim but definitely failed! Chinese sells all kinds of weapons from nuke to warplanes to warships to missiles to drones to guns, to mines, etc to kill Chow Ang Moh. Chinese are not afraid to make Muslim strong. The Muslim friends of China are helping China to arrest Islamic terrorists inside China. Laying traps for them and supplying intelligence to Chinese Security Dept. I always knew you had low IQ but I didn't know it was that low. China's aim is to wipe out Islam in the country. 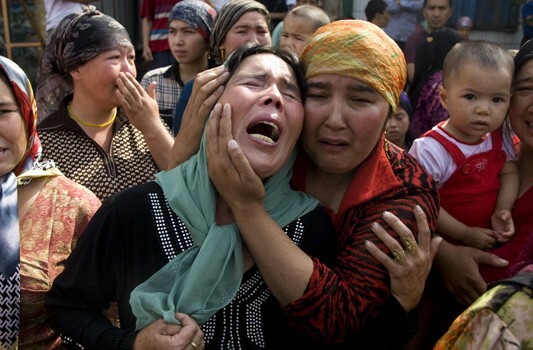 Moreover, China is sparing no effort to eradicate any memory or proof of Uyghur Muslim life. It is truly the stuff of dystopian nightmares, or a reenactment of the worst genocides carried out in the previous century. The handful of personal accounts that trickle out from behind China’s total control of the Internet and the media invoke memories of the Communist state’s darkest days — the period of the “Cultural revolution,” when religious people and sites were wiped from the country’s landscape. Is it a good thing to do away with a "religion" that okayed child bride , stoning , polygamy , beheading , abstain from babi and alcohol etc. etc. and 72 Virgins ? JF-17 will be assembled in Pakistan where Dr M is now there for NDP ceremony and impressed by the Chinese Warplane technologies there! Pakistani told Dr. M that these are powerful invincible war toys, they used them to whack ABNN Modi IAF dead, and captured Pilot POW. ACE! Dr M say Excellent! I will buy! Now he does not cry bankruptcy no more?! Why? He confiscated enough $1MDB$ from Najib already? [Global Network Military Report] As we expected earlier, Malaysian Prime Minister Mahathir visited Pakistan and was sure to have a story with the CMB Dragon Fighter. According to Pakistani media, Mahathir showed interest in the fighter during his visit. When Mahathir heard the introduction of the Pakistani Air Force on the "Dragon" fighter, he was put on a jacket of the "Dragon" fighter. 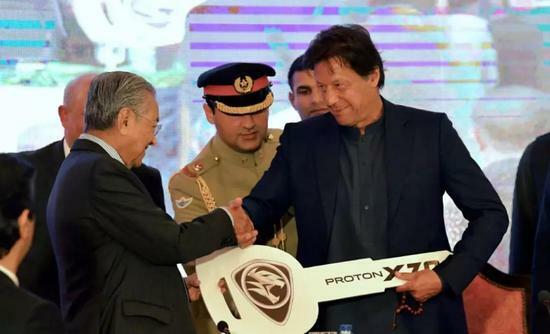 According to Pakistan’s “Dawn”, on March 23, Malaysian Prime Minister Mahathir accompanied by Pakistani Prime Minister Imran Khan before the end of the three-day visit, listened to the Pakistani Air Force’s JF-17 "The detailed description of the fighter and view the cockpit and interior of the fighter. Earlier in the day, Mahathir attended the grand military parade in Islamabad as “Chief Guest”. In the Pakistan Air Force's "Dragon" fighter flight show, the maneuver, tactics and flight capabilities were demonstrated. 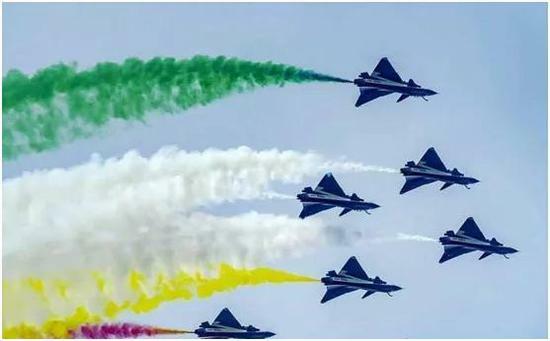 On March 23, the Pakistan Air Force’s “Zhenlong” fighter aircraft performed an air show during the military parade. On March 23, the Pakistan Air Force’s “Zhenlong” fighter aircraft performed an air show during the military parade. Pakistan's "Forum Express" reported on March 24 that before the departure, Mahathir heard a briefing on the light, all-weather, multi-role fighter of "Zhenlong" at the Nur Khan Air Force Base in Pakistan. He showed great interest in the various qualities of the "Dragon" fighter. According to reports, Mahathir was wearing a flight jacket and inspected the cockpit of the "Zhenlong" fighter. At the same time, Pakistani Air Force officials briefed him on the technical details of the aircraft. Malaysia and other countries have expressed interest in buying this fighter. 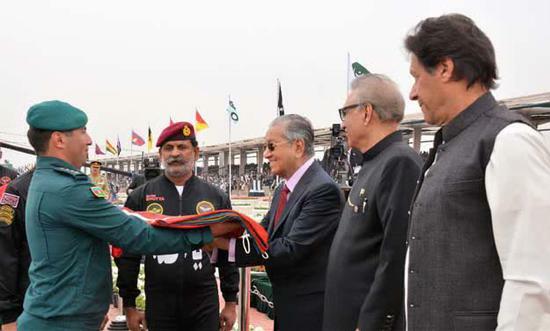 On March 23, Mahathir attended the Pakistan National Day military parade. On March 23, Mahathir attended the Pakistan National Day military parade. According to Pakistani Finance Minister Assad Omar, in an informal exchange with media reporters, Malaysia and Pakistan signed a Memorandum of Understanding on the “Five Major Projects” on March 22. Omar said that Malaysia has expressed interest in buying JF-17 "Jilong" fighters from Pakistan, halal meat and rice. Mahathir threatens the EU: If it pollutes Malaysia, it will buy fighters from China. Original title: Mahathir threatens the EU: If it pollutes Malaysia, it will buy fighters from China. 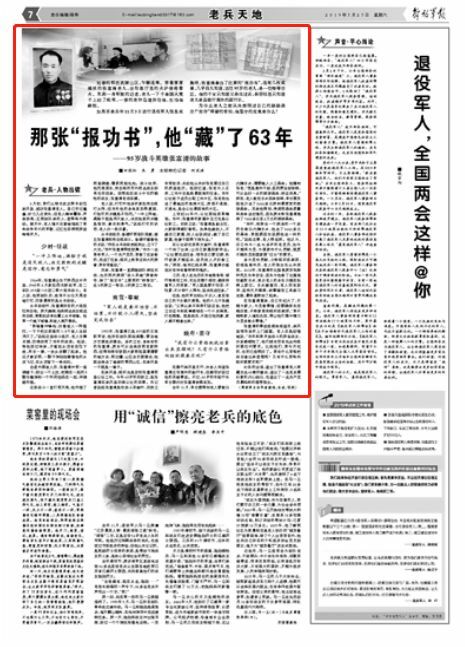 [Global Times comprehensive report] According to Singapore's "Lianhe Zaobao" report, Malaysian Prime Minister Mahathir Mohamad said on the 24th that if the EU continues to smear Malaysian palm oil products and even sanction Malaysia, Malaysia will refuse to buy EU fighters and change to China. Or buy in other countries. According to recent EU documents, palm oil should be phased out of biofuels due to “harmful environment” during planting, triggering a strong reaction from Malaysia, a major palm oil producer. Malaysia believes that the EU's move is a discrimination against palm oil, with the aim of protecting other oil products such as US soybean oil. According to reports, Mahathir said after attending the "Love My Palm Oil" promotion event on the 24th that he had just returned from his visit to Pakistan in the early morning and witnessed the flight stunts of Chinese fighters at the Pakistan National Day military parade. This made him refreshed. And appreciate China's technology. He said that he is not promoting Chinese products, but to counter the EU's containment of palm oil. “The purpose of their containment of palm oil products is to exclude us and cause 600,000 poor people who depend on the palm oil industry to lose their jobs,” Mahathir said. “If they (the EU) continue to target us, don’t buy palm oil. We can also retaliate and buy planes from China or other countries." "I think China's technology is not so bad, even better than the West. This is what the West is afraid of. They don't even allow Chinese products to enter." But he Said that the government has not discussed with China the purchase of aircraft. If the EU continues to oppose biofuels produced from palm oil, the country intends to buy fighter jets from China. Earlier reports said that Malaysia is studying the possibility of buying a number of French "Fafale" fighters and European "Typhoon" fighters (Typhoon). According to a report by the New Straits Times on the 24th, the Malaysian Prime Minister spoke at an event attended by palm oil producers: "We may take countermeasures if they do not want to buy our palm oil. Then we do not need their products. I just came back from Pakistan and showed Chinese fighters during the country's military parade. If we need fighters, we can consider buying Chinese-made fighters." The Ma Air Force's MiG-29N will be replaced by a new aircraft. 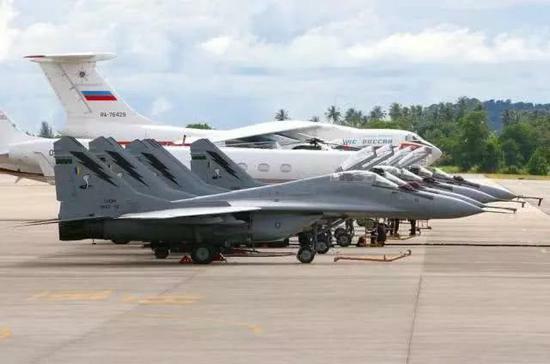 As one of the major countries of ASEAN, Malaysia maintains a strong air force: 8 F/A-18D two-seat fighters, 10 MiG-29N fighters and 18 Su-30MKM fighters total 36 Four generations of fighters, which give them a very powerful air force in the countries of the region. However, the 10 MiG-29N fighters purchased in 1994 were finally retired in 2016, and in fact Malaysia began to consider purchasing alternative fighters as early as 2007, and in Europe "Typhoon" fighters, French "Gust" fighters, the United States There was a repeated trade-off between the F/A-18E/F fighter and the Swedish JAS-39 "Gryphon". Eventually both the "Gust" and "Typhoon" fighters scored the highest, and it seems that orders will be generated in both. However, the EU is one of the main driving forces for the world's climate reduction. 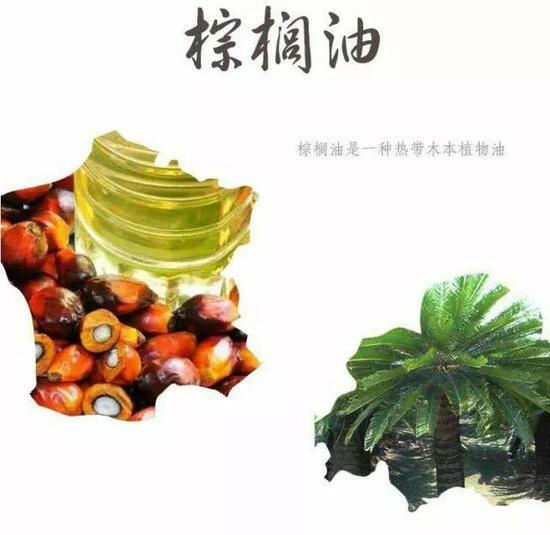 It has recently decided to completely ban the import of palm oil by 2030, and this measure is mainly aimed at producing Malaysia and Indonesia, which account for about 80% of the world's total production. In particular, Malaysia's palm oil production accounts for 40% of the world's total. If the EU's procurement is completely stopped, it will cause 600,000 poor people who rely on the palm oil industry to survive, and will certainly hit the country's economic growth. To this end, Malaysian Prime Minister Mahathir Mohamad said on the 24th that the EU's move is a discrimination against palm oil, the purpose is to protect other oil products such as US soybean oil, if they continue to buy palm oil, we can also retaliate. So what is Malaysia’s retaliatory measures? That is to refuse to purchase the latest fighters from the European Union - "gust" and "typhoon" fighters. 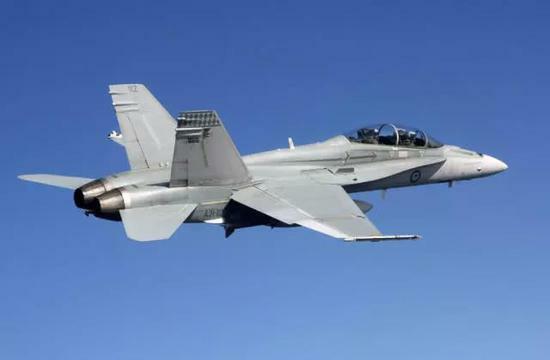 Originally, if Malaysia did not purchase European fighters, the order should fall on the US F/A-18E/F fighter jets and the Swedish JAS-39, but Sweden is also a European country. Second, Europe refuses to import palm oil. It is American soybean oil, so Malaysia can only transfer to the other side. 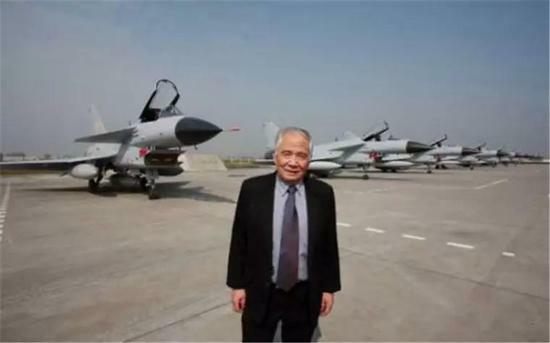 Coincidentally, just before Mahathir’s participation in the “Love My Palm Oil” promotion event, he was just invited to participate in Pakistan’s National Day, the “Pakistan Day” parade on March 23, where he witnessed A wonderful flight show of the Chinese J-10 fighter. 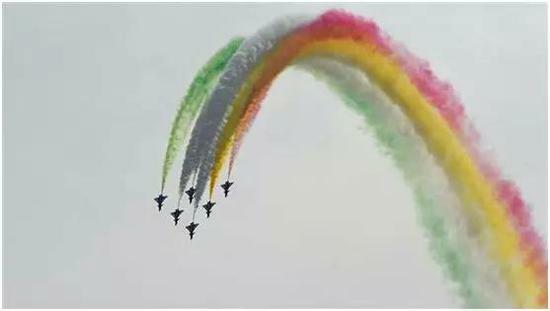 China’s 歼10 fighters’ finale appeared on the Pakistani iron parade. Behind the glare of the J-10 fighter, it is inseparable from the selfless efforts of countless scientific researchers. On the 23rd, Pakistan held a grand military parade in the capital, Islamabad, to celebrate the 63rd anniversary of the founding of the country. According to Pakistani media reports, Pakistani Army, Navy, Air Force and other units were reviewed. Various types of tanks, armored vehicles, artillery, and drones equipped by the Pakistani army, as well as Chinese-made weapons and new long-range rockets such as the FM-90 and LY-80 air defense missile systems, and a variety of cruise missiles, ballistic missiles, etc. Debut, it is unprecedented. This military parade Pakistan invited Chinese, Azerbaijan, Saudi Arabia, Turkey and other countries to send fighters or personnel to participate in the military parade. It is said that this military parade also invited Indian officials to participate but was rejected, but yesterday, Indian Prime Minister Modi also A message on the social networking site sent a congratulatory message to Pakistan. However, regardless of the attitude of India or the various types of equipment displayed on the Pakistani military parade, they did not succeed in grabbing the headlines of yesterday. The most eye-catching in the Pakistani military parade, it turned out to be a Chinese fighter just 21 years old - 歼-10. 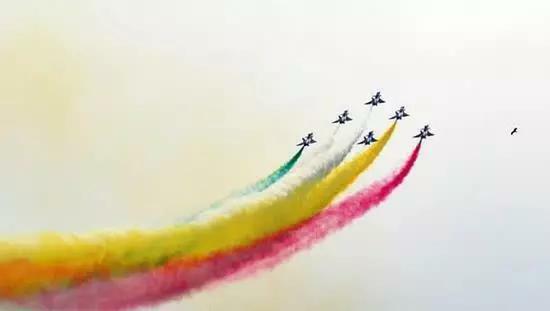 After the military parade presented a wonderful flight show on the Pakistan Air Force Dragon Warplanes, the Chinese Air Force Bayi Air Show Team J-10 fighters debuted as the finale, giving Pakistan a 16-minute shocking aerobatic performance. The J-10 fighters of the August 1st Air Show team made a variety of difficult stunts in the air, pushing the entire military parade to a climax. It is worth mentioning that during the J-10 flight performance, the Pakistani commentator specially welcomed the arrival of the Chinese Air Force Bayi flight demonstration team in Chinese and highly praised the China-Pakistan friendship and the dragon fighter. In the Chinese commentary, "China-Pakistan friendship is higher than the Himalayas, deeper than the sea, sweeter than honey, and stronger than steel." (China-Pakistan cooperation project) is a common brother of China-Pakistan iron that has stood the test of time. The embodiment of friendship, this is CMB!" and many other praises, such high-standard treatment is also rare in the world. March 23 is an extremely important day for Pakistan and China J-10 fighters. After the independence of India and Pakistan in 1947, Pakistan officially established its country on March 23, 1956. At 14:28 on the same day in 1998, the J-10 fighter prototype No. 01 successfully made its first flight in Chengdu. China became the fifth country in the world to independently develop the third-generation fighter (American standard), March 23 Japan has also become the birthday of the 歼10 fighter, which has been a full 21 years since. In the 21 years, the J-10 fighter has become the pillar of the Chinese Air Force. 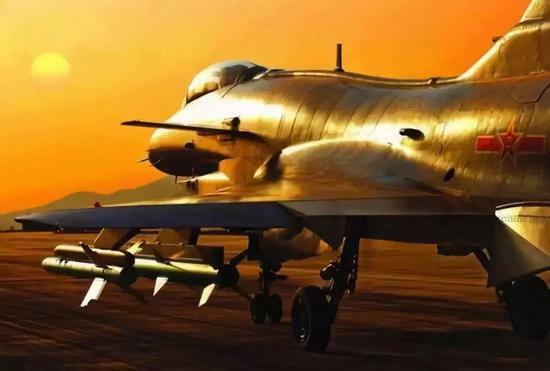 However, the great achievements of China's J-10 fighters are inseparable from the silent efforts of China's three generations of aviation R&D workers for China's self-study aircraft business for decades. It is also their efforts to spend the Chinese aviation industry. The toughest years. Among them, the great contribution to the development of the J-10 is the academician of the J-10 fighter, Song Wenzhao. In the mid-to-late 1980s, the 56-year-old academician Song Wenzhao was officially appointed by the Commission of Science, Technology and Industry for National Defense as the chief designer of the J-10 aircraft. The performance of the J-10 design was almost for the Chinese aviation industry, which was only capable of producing second-generation fighters at that time. Impossible to achieve. The R&D process is therefore full of various difficulties. The technological blockade of advanced countries allows China to take independent and independent research and development. However, the R&D team led by Academician Song Wenzhao overcame the problem one by one with amazing perseverance and tackling spirit. The 歼-10's "Sword" was also polished for 12 years. The J-10 fighter finally ushered in its first flight on March 23, 1998. As the first third-generation fighter in China, the first flight was still full of difficulties and dangers. Excited and nervous flight test with the steady landing of the J-10 fighter plane No. 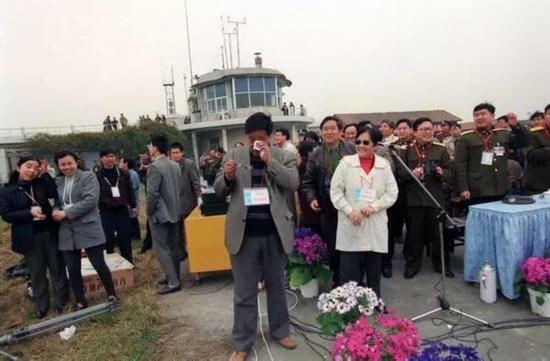 01, the heroic test pilot Lei Qiang took the opportunity to take over the flowers sent by Academician Song Wenzhao. The excellent pilot who had driven the 歼-7 and 歼-8 2nd generation fighters had been unable to conceal and cried and said, "This is the real fighter." Joy, excitement, and tears filled the entire test field, leaving behind those few Zhang Ling’s photographs of countless Chinese military fans. To commemorate the birth of the J-10 fighter, the chief designer Song Wenxuan changed his birthday on March 26 to March 23. On March 22, 2016, the day before the "Birthday" of the J-10 fighter and Academician Song Wenxi, Academician Song Wenzhao died. What he left behind is a powerful aviation industry that has successfully developed a number of advanced fighters such as the J-11 fighter, the J-15 fighter, the J-16 multi-role fighter, and the J-20 fourth-generation fighter. At the Zhuhai Air Show in November 2018, the 歼10B TVC verification machine equipped with a vector engine debuted on the first day of the air show, which provided the audience with extremely difficult super-mobile performances, which made the world pay attention to it. China has also become the only country in the world to equip a single engine with a vector engine. ▲歼10B TVC performance "Cobra Maneuver"
After 21 years of the first flight of the J-10, Chinese fighters have been comparable to the world's top fighters. Such high-speed "curve overtaking" is rare in the world. ▲歼-10B TVC performance "falling leaves"
Academician Song Wenzhao once said that if a country wants to be beaten, it must have air superiority and must have a good fighter. He practiced his vows with his lifelong efforts. It is also the bloodshed of countless heroes, and countless R&D workers have worked hard for decades and nights before they exchanged the achievements of the Chinese Air Force today. What is most worth remembering by the Chinese is everyone who has been sweating and quietly contributing to the motherland. On the 21st birthday of the J-10 fighter, we should pay tribute to the researchers who are working hard for the Chinese aviation industry. That's certainly great news! RMAF can then pit its fleet of JF-17s against RSAF's F-16s and F-35s. Let there be a showdown and conflagration! Beijing recently sent a shipload of missiles to Pakistan they are meant to shoot down Indian SU-30MKI from Kashmir surface to air. China produces an elite missile that advances into Kashmir. It is said that Pakistan uses it to deal with Su-30. 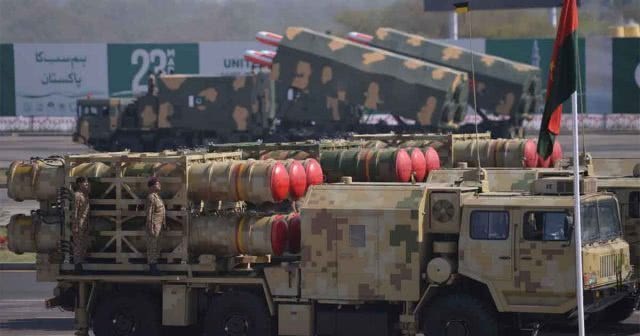 On March 23, Russia reported today that China’s Falcon-80 medium-range anti-aircraft missiles have been deployed in the border areas of Pakistan and India! Indian fighters, this must be especially careful! 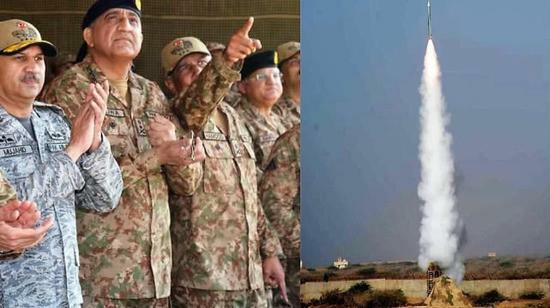 According to reports, Pakistan has deployed more Chinese Falcon-80 medium-range air defense missiles (LY-80) in key locations in several cities, military bases and Kashmir to prevent the Indian Air Force from repeating cross-border air attacks last month. Such an invasion activity. As India claims to plan to transfer advanced fighter aircraft such as the Su-30MKI to the bases around the Kashmir region, the transfer of the Falcon-80 by the Palestinian side is clearly a corresponding measure. The report quoted the latest news from the Indian news media as saying that after the air-to-ground attack in India's Balakot area in Pakistan last month, Pakistan deployed five Falcon-80s at key targets and locations. Cheng air defense missiles, as well as supporting new air defense surveillance fire control radars. 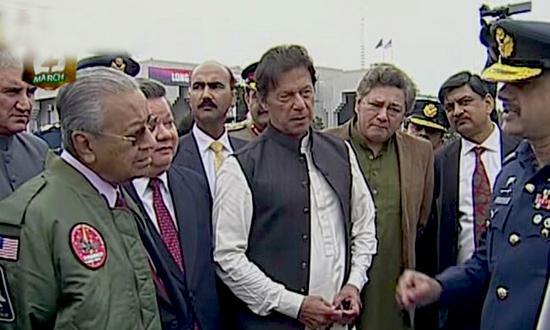 Recently, Pakistani Prime Minister, chief of staff of various services and air force officials have witnessed many demonstrations of Pakistan's new air defense weapons and equipment, including the recently introduced medium-range air defense weapon system Falcon-80, and repeatedly watched the firepower of the actual launch. test. Pakistan is working hard to strengthen the security of its military system due to fears of future air strikes from India and the resurgence of bombings in the Barakot area. According to an official of the Central Security Agency, the deployment of the Falcon-80 missile is part of an increase in frontline air defense alert interception capabilities. The Falcon-80 air defense missile has provided a comprehensive, multi-level, integrated and integrated air defense service for the Pakistani military, which has improved the Pakistani air-to-air killing capability. In addition to the air defense missile system, it is reported that Islamabad has deployed more Chinese-made Rainbow-4 combat drones in key areas to monitor the conditions in the relevant border areas and may even use precision-guided bombs around the Kashmir control line. The missile launched an attack on the open space. In addition, Pakistan is also able to assemble relatively small Rainbow-3 combat drones, which can also be used for open field strikes. The Indian side claimed that at least three Pakistani drones were shot down by the Indian side after an air attack on Pakistani targets on February 26. But there is no evidence to shoot down the Rainbow-4 combat drone. The Pakistani military Falcon-80 missile from China is the export model of the Chinese Red Flag-16 medium-range air defense missile. It was included in the Pakistan Army's active service equipment sequence in 2017. The high-speed maneuverable Falcon-80 missile air defense system made in China is all mounted on a high-mobility off-road vehicle that can be easily moved from one location to another as needed, and can be over 40 kilometers. Hit a variety of air moving targets, including cruise missiles that India is developing. The missile system owned by the Pakistani army, the main combat units include air defense surveillance fire control radar and Falcon-80 missile launch vehicle, each launch vehicle can be equipped with six vertical transmitters. The Falcon-80 is the most advanced medium-range air defense system currently exported in China and is produced by China Precision Machinery Import and Export Corporation (CPMIEC). The main radar device of the Falcon-80 missile system is a three-dimensional target search phased array radar that can track, monitor and attack multiple targets from 150 kilometers away. The system is said to detect up to six targets and track four targets for interception. Usually a Falcon-80 missile system, a radar vehicle and four missile launch vehicles, supplemented by auxiliary vehicles such as command vehicles, power vehicles, and logistics support vehicles. India’s airstrikes in Pakistan are aimed at revenge for the Pulvama attack that took place on February 14. In that attack, a member of a Pakistani militant group entered India from Pakistan-controlled Kashmir, and then launched a suicide bombing that killed 40 Indian paramilitary police. Shortly after the attack, the Indian side bombed the Pakistani target, but it seems that there is no evidence to hit the real target. Then there was an air melee between the two sides. An Indian Air Force MiG-21 "Bison" fighter was shot down by Pakistani fighters and the pilot was captured by Pakistan. 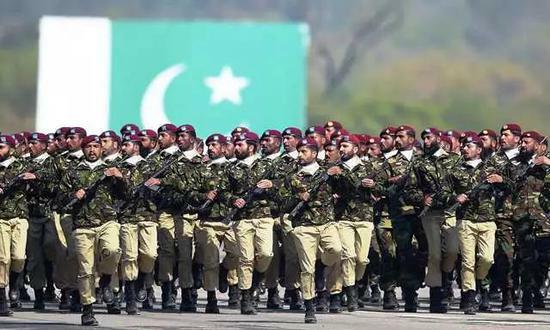 On March 23, 2019, Pakistan celebrated "Pakistan Day" with a grand military parade in Islamabad. According to Pakistan's "Dawn", China, Azerbaijan, Saudi Arabia, Turkey and other countries sent troops or personnel to participate in the military parade. On March 23, 1940, the All India Muslim League adopted a resolution to establish Pakistan in Lahore. To commemorate the Lahore resolution, the Pakistani government has designated March 23 as “Pakistan Day”, so “Pakistan Day” is equivalent to Pakistan’s National Day. In the Pakistani Day military parade yesterday, the Pakistani army, navy, air force, and even the police and security forces were all reviewed. Overall, the scale of the military parade was relatively large. In addition to tanks, armored vehicles, artillery, drones and air defense missile systems, cruise missiles and even ballistic missiles have all appeared, and weapons and equipment are also dazzling. Of course, fighters, helicopters, early warning aircraft, transport aircraft, etc. also bowed to the audience at low altitude. 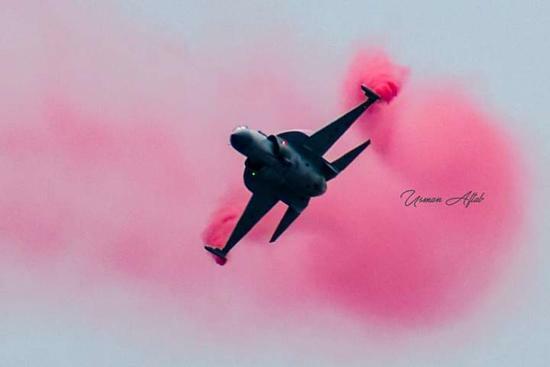 After all the weapons and equipment were unveiled, "Pakistan's Pride" and "Jilong" fighters made a grand appearance and gave them a separate solo. Finally, as the performance team, the "August 1st Air Show Team" of 6 歼-10 finale appeared! A 16-minute shocking aerobatic flight took place. Even the domestic people can't often see the stunt performances of the Bayi Air Show team, not to mention the performance team going to Pakistan. The 歼-10 blue and white painting was even more eye-catching, and the parade was once the home of the J-10. Of course, the cobra maneuver does not exist. When the camera swept past the Prime Minister of Pakistan, Xiaobian discovered that it was not simple. Is this not the Prime Minister of Malaysia? Not surprisingly, Malaysian Prime Minister Mahathir was invited to visit Pakistan. This time Mahathir was on the side of Pakistani Prime Minister Imran Khan. The two watched the entire parade together and talked from time to time. People could not help but think of India. 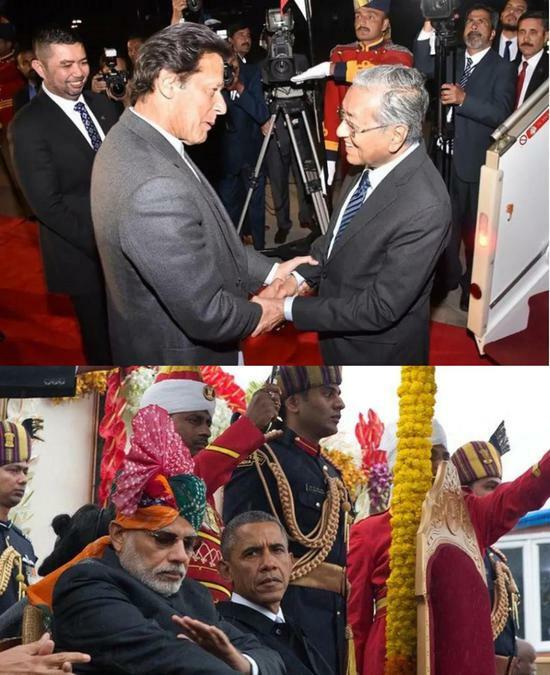 Prime Minister Modi and then US President Barack Obama watched the parade scene together. However, the relationship between Pakistan and Malaysia is closer and more intimate than the relationship between India and the United States. Although Malaysia is a secular country, most people in the country believe in Islam, and Mahathir himself is a Muslim. The two countries that are also Islamic believers in southern Asia can naturally come together. And one of Mahathir’s visits was to discuss with Imran Khan how to deal with the “Islamic phobia” problem that was exacerbated by the New Zealand shootings. At the Defense Exhibition in Pakistan in 2018, it was already reported that Malaysia would purchase a number of "Jilong" fighters, including the corresponding technology and equipment for maintenance, repair and engine overhaul, but the transaction did not have the following. . This year, Malaysia has "returned" and even Mahathir himself came to Pakistan. Perhaps "Dragon" is expected to continue to export to Malaysia. One of the most important reasons is that it is impossible to rule out that the "competitive test" of "Zhenlong" has made Malaysia move. Since February 2019, the conflict between India and Pakistan has continued. Although both sides have suffered casualties, it seems that India has not gained the upper hand from the current reports. At this time, Pakistan held a grand military parade. Both China’s J-10 and the Malaysian Prime Minister came to visit, and undoubtedly launched a new round of attacks on India at the spiritual level. The Indian media has long been eyeing the military parade, and even achieved "seeing the essence through military parade." Some Indian experts said that the presence of the J-10 fighter in Pakistan is profound, and Pakistan is a potential buyer of this fighter. 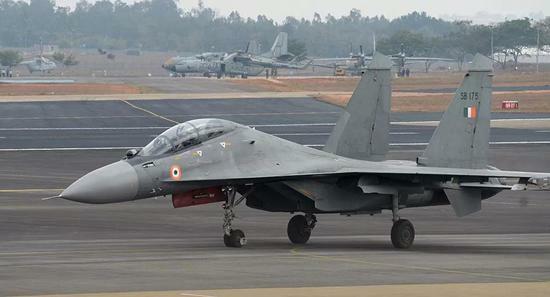 Once Pakistan is equipped with the J-10, the "Dragon" and the F-16, then the Indian Air Force is old. The old MiG-21 and Phantom-2000 will be fatal blows. So is your Su-30 a transport plane? 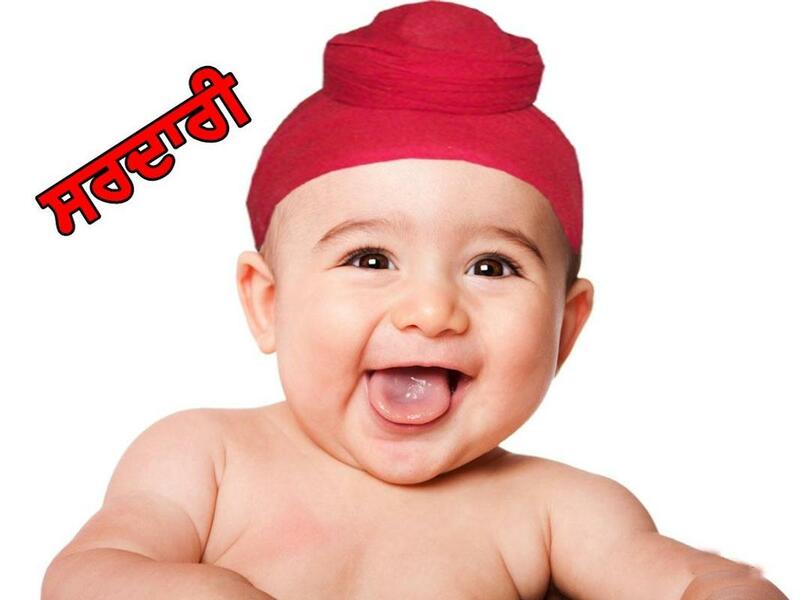 Ladies and gentlemen: Please Welcome the Chinese BAYI! 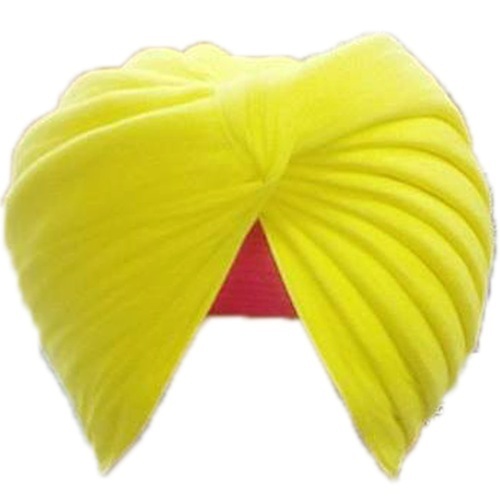 But where are the turbans? Are there premeditated lines? The CCP rarely empties this route. The CCP’s military aircraft flew over the central line of the Taiwan Strait, and the provocative meaning was strong. Moreover, experts observed that the Chinese military aircraft went out to sea, that is, from 10:00 am to 1:00 pm, the M503 route next to the central line of the Taiwan Strait was extremely deserted, and it seemed that the M503 was full of flights. It is listed as a warning area, and the civil aircraft does not dare to fly here. Experts estimate that it should be a common machine exploratory exercise, and inform the passengers of the flight to leave the route early, that is, China is likely to be ready to rush. ▲The Chinese military aircraft crossed the central line of the Taiwan Strait, and the Chinese military aircraft took off warning. This is the main fighter of China's 歼11 fighter plane, which is part of the southeast coast. This time it also slammed the door to cross the Taiwan Strait mid-line, and it was said that there were signs early. It was clearly seen in the civilian civil aviation radar chart, and it was close to the M503 of the central line of the Taiwan Strait. On the route, there is almost only one Singapore Airlines left at 9:00 am. The entire airspace is cold and clear. Compared with the previous day, the flight can be said to be one after another, and the flight is obvious. It is said that China is early. There are premeditated plans to send fighters to ghosts near the center line. ▲The total number of flights on the M503 route was small on the same day. Senior Researcher of the National Government Foundation said: "This may be because the CCP knows that the action itself is risky, and that the nearby airspace is relatively simple. If there are some actions by our military aircraft and the CCP’s military aircraft also take some actions, there will be more roundabouts between the two sides. space." ▲Compared with the amount of flights from the previous day, it was obvious that there was a “emptiness”. The abnormal signs of M503 are said to be deliberately laid out by China. It also highlights Taiwan’s uneasiness about this route. In particular, the flight along the route can exert pressure on Taiwan’s military force. The route is closest to Taiwan, but we are not unable to counter it. The Ministry of Foreign Affairs Twitter showed that we informed our "safety alliance" in the first time. Foreign Minister Wu Hao said: "We condemn it, and the Ministry of Foreign Affairs is also the first time to inform our regional partner countries to pay attention to this matter." ▲ Foreign Minister Wu Hao condemned the CCP’s provocative behavior. Navy soldiers fell into the dock! Serious injury to both feet is actually a disaster caused by "Devil God"
Tea farmers control "pesticide" to discredit! Korean Yut throws tea every day, "Don't be angry with me." Han Ting Guo Taiming chooses the president? Pan Hengxu speaks amazingly "Hanjia Guo is invincible in both worlds"
The Communist Party of China holds the South Korean Yu and seals the "Taiwan Governor"
[New head shell newtalk] 2 Chinese military aircraft 歼 11 type fighter aircraft, at 11 o'clock yesterday morning crossing the middle line, into the southwestern airspace of China's strait, after I responded in the air patrol aircraft, and sent more fighters to the emergency After the air interception and the implementation of the broadcast drive, the aircraft will fly back to the west of the channel line. When Foreign Minister Wu Hao was interviewed today (1st), the Chinese Communists crossed the Taiwan Strait was a deliberate, provocative and dangerous action. "We condemn it" and also notified the regional partner countries for the first time. The Foreign and National Defense Commission today invited Foreign Minister Wu Hao, Minister of Health and Welfare Chen Shizhong, and Chairman of the Committee on the National Minorities. Dr. Huang Xiangwen, Director of the Marine Commission of the Oceanic Commission, presented a special report on the "2019 "Marine Democracy Tour" Results Report". In response to the crossover of the Taiwan Strait line, Wu Hao said today that the Ministry of Foreign Affairs immediately received a notice yesterday and discussed with the relevant units how to deal with it. After the discussion, the Ministry of National Defense issued a press release, and the Ministry of Foreign Affairs issued a statement through Twitter. The Chinese army crossing the Taiwan Strait is a deliberate, provocative and dangerous action. "We condemn it. The Ministry of Foreign Affairs also informed the regional partner countries of this matter for the first time." Wu Hao stressed that China threatens Taiwan and Taiwan seeks friendly alliance to carry out the necessary cooperation. It is definitely not because Taiwan is too good with China and is opposed by China. On the contrary, China constantly threatens Taiwan and provokes Taiwan. Taiwan needs to seek outside assistance. As for which countries are notified? He responded that he was not convenient to explain. The media questioned whether the United States has recently made a big move to support Taiwan. Is Taiwan’s diplomacy a breakthrough? Wu Hao explained that the relationship between Taiwan and the United States has indeed improved considerably. It is not only an official exchange, but also a high-level improvement in various aspects of activities. I am grateful to the US for improving the communication standards. As for whether Taiwan will still participate in the World Health Assembly (WHA) in accordance with the law this year, Wu Hao pointed out that he is currently seeking support from countries with similar ideas. In May last year, he saw that many countries with similar concepts have spared no support for Taiwan, and Taiwan will continue to strive for similar ideas. The state supports it. Everyone also saw that a few days ago, the US Deputy Assistant Secretary came to Taiwan to discuss how to enhance Taiwan’s participation in world organizations. In addition, the Japanese government will notify the states of the country after the publication of the New Year's Day and the New Year's Day. Some domestic media pointed out that the list of notices will not include Taiwan. In this regard, the Ministry of Foreign Affairs issued an official statement, and Japan will pass the Japan Taiwan Exchange Association. At the same time as notifying the country of diplomatic relations, I will inform my representative office in Japan. Wu Hao said that the notice list does not contain information that Taiwan has not been verified. The Ministry of Foreign Affairs has stated that Japan will directly report to the Ministry of Foreign Affairs. Since he is going to the Legislative Yuan today, other officials of the Ministry of Foreign Affairs will be notified. ALREADY DID IT ! 蔡英文 Lesbian CB KPKB ! The Ministry of National Defense confirmed that at noon on the 31st, the Chinese Air Force sent 11 fighters, flew over the Strait in the southwest of Wuhu, and confronted me with fighters for 10 minutes, seriously jeopardizing China's sovereignty. In this regard, the Chinese official media "Global Times" published an editorial rebellion, if the United States and Taiwan continue to provoke China, the future PLA is likely to put "the airspace above the island of Taiwan into the scope of cruise", the attitude is very arrogant. For the Chinese Communist Party’s cross-strait strait line, the Ministry of National Defense issued a press release on the evening of the 31st, categorically condemning the provocative actions of the CCP’s military, not only impacting regional security and stability, but also jeopardizing the peace and well-being shared by all parties in the region. In the face of threats, the National Army will fully comply with relevant operational readiness provisions to safeguard national sovereignty and national life and property security. "Do not cross the line" is just a tacit agreement. Peace depends on the actions of Taiwan and the United States. On the occasion of the "CCP's military aircraft crossing the line", the CCP's official media "Global Times" published a social commentary entitled "Mainland military aircraft flying over the "Taiwanese midline"? Hope is true" on the 31st, pointing out that the "Strait Line" is only A psychological line, China has never admitted, but the two sides of the sea and air force in the past have formed a tacit understanding of not crossing it. However, the premise of this tacit understanding is that "the political foundation of cross-strait relations remains unchanged." Taiwan cannot communicate and interact with external forces beyond the previous levels. The editorial pointed out that if this happened (the military crossed the line), they believed that the PLA was doing a solemn warning to the Taiwan authorities and responded to the recent frequent moves by the US in the Taiwan Strait. After the passage of the "Taiwan Travel Law" from the United States, in addition to the destroyer and a cruiser of the Marine Police, it is constantly pressing China, and China cannot respond without it. The article threatens to say that if the provocation of the Taiwan authorities and the US is intensified, the Chinese navy and air force may no longer pay attention to the so-called "middle line", use the entire Taiwan Strait as the action area of the People's Liberation Army, and may also put the airspace over the island of Taiwan into the cruising range. To promote the sovereignty over Taiwan in a more direct way to offset the further publicity and connivance of the Taiwan authorities and the US on "Taiwan independence." China has always pursued a policy of peaceful reunification. Therefore, it is relatively restrained in the military. However, China has one hand to respond to various political and military provocations. Taiwan and the United States should not force China to fight them one by one. The Chinese military aircraft flying over the "Taiwanese midline" is only a minor move. To be peaceful, Taiwan and the United States need to truly understand the "small point." After the expulsion of the country and the F-16, the aircraft is only 100 miles away from the island. It is understood that in the past, the CCP’s military aircraft harassed Taiwan, and most of them rushed back after crossing the center line. This time, they continued to fly eastward, and the provocation was strong. According to "Apple", on the morning of the 31st, the Chinese People's Liberation Army military aircraft took off and land frequently, training in the west of the Straits Central Line, and the Chinese Air Force phantom fighters also took off and monitored. However, at around 11 noon, there were four raftings at Fuzhou Yisuo Airport in Fujian Province, which took off directly to the central line of the strait. Two of them slid back to the west of the strait line and did not touch the central line of the strait, but later The second batch of the 歼11 fighters crossed the Straits Central Line. At that time, the Chinese Air Force warfare immediately dispatched two warplanes that were performing the mission to intercept, and requested two scorpions 11 to immediately return to the west of the strait line, but the two squats were ignored. At the same time, the Chiayi Air Force Base immediately dispatched four F-16 fighters to fly directly to the tactical position of the 歼11. After the national warplanes were turned into side engines, the F-16 fighters took control of the overall situation. At this time, the two armies also had two fighters. The emergency took off and the situation was tense. The two 歼11 fighters of the CCP are only about 100 baht closest to Taiwan’s main island. Later, the two 歼11 fighters that the CCP "stepped on the line" did not go further. Instead, they flew along the center line for about 10 minutes, and the original road was returned to the west of the strait line. As for the ground forces, the Tianhu missiles in Penghu have entered the 5-minute emergency readiness. 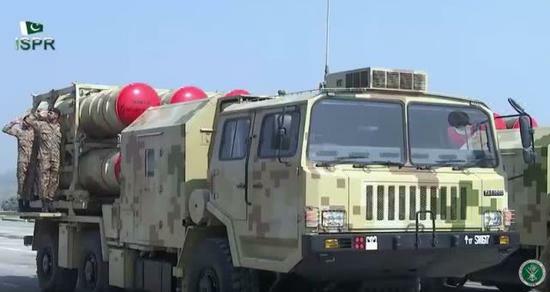 As long as the 歼11 is close to the Penghu area, our air defense missiles will enter the battle preparation. In addition, the Tiangong and Patriot missiles stationed on the island also received orders to improve their readiness. According to informed sources, from the flight path of the CCP's 11 fighters, the PLA has obvious planning and premeditated plans. Therefore, the Ministry of National Defense attaches great importance to this incident, including the Minister of National Defense Yan Defa and the Chief of Staff Li Ximing all entering the National Operations Center. Understand the situation in order to ensure national security. The generals of the Chinese army believe that the CCP’s "cross-line" move is obviously testing the preparations for our military's war, and in a direct provocative way, to understand the combat readiness of our army, the future will not rule out the strait line will be abolished, let Taiwan The strait became the CCP's inner sea to indirectly break through the gap in the US-Indian strategy. The presidential palace spokesman Huang Chongxi said that the practice of China is not only a lack of international responsibility, but also a deliberate provocation against regional security and stability. The act of crossing the middle line is a blatant destruction of the status quo across the Taiwan Straits. In this regard, the Government of the Republic of China has strongly condemned it and reminded China of being a member of the region. It should stop such acts that endanger the peace and well-being of the region and should not become an international troublemaker. President Cai protested against the change of the status quo and provocation of the cross-strait mid-line. President Tsai Ing-wen today expressed his solemn protest against the cross-straits of the Communists. This is not only a one-sided change in the status quo of the two sides of the strait, but also a public provocation against regional security and stability. She reminded the Beijing authorities that "three nos" deliberately provoke, create troubles and undermine the status quo in the Taiwan Strait. The Ministry of National Defense said yesterday that two 歼11 fighters crossed the Taiwan Strait mid-line at 11:00 am on March 31 and entered the southwestern airspace of Taiwan. After the air force sent additional fighters to intercept the air, the army returned to the west of the center line; It is understood that the total aircraft was still about 185 kilometers away from Taiwan. President Tsai Ing-wen, after presiding over the "National High-level Cadre Awards and Jinda Buda Awards Ceremony", said that in recent years, the international situation has changed rapidly and national security faces a complex and multi-faceted challenge, whether it is maintaining the region. Stabilizing and defending the sovereignty of the Republic of China or safeguarding the values of Taiwanese people's well-being and freedom and democracy, the role and mission of the national army will be even more important. She further stated that recently, the PLA has been moving more and more. The former army flew over the Miyako Strait, the day before yesterday, causing serious concern to neighboring countries. Yesterday, in the Taiwan Strait, the ruling of the Chinese Air Force’s military aircraft broke out. It flew over the central line of the Straits and was warned by the Air Force before returning to the west of the Central Line. The president said that these actions by China are not only a one-sided change to the status quo of the two sides of the strait, but also a public provocation against regional security and stability. The president said that not only must there be serious protests, but also the Beijing authorities should be solemnly reminded not to deliberately provoke, not to create troubles, and not to try to undermine the status quo in the Taiwan Strait. President Cai said that it is necessary for the people of the whole country to know that in order to adhere to and firmly protect the country’s security and sovereignty, to firmly maintain the lifestyle of democracy and freedom, and to strengthen and strengthen Taiwan’s direction, this "three staunches" does not have to doubt the country. The military’s ability and determination to defend Taiwan. "As the president, I will fight with the soldiers in the end." The president said that the country would not let it go. Chinese military aircraft crosses the Taiwan Strait Middle Line The Ministry of Foreign Affairs exposes Taiwan as a "safe regional alliance"
[New head shell newtalk] China's two 歼11 fighters crossed the Taiwan Strait mid-line at 11 noon yesterday (31) and entered the southwestern airspace of Taiwan. The provocation was full, and we dispatched IDF fighters to monitor and immediately increase the number of fighters. Many F16 fighters took off and stopped, fully grasping the Chinese military's maneuvering direction. In this regard, the Ministry of Foreign Affairs said through Twitter that it is a deliberate, reckless and provocative act of the cross-straits of the Taiwan Strait. It also informs the people of the existence of a safe regional alliance. Taiwan is also a part of it. It also indicates that Taiwan has notified the region. Partner this event. The Ministry of Foreign Affairs said on Twitter that the two Chinese military aircraft "歼11" fighters crossed the Taiwan Strait mid-line yesterday morning (31), violating the long-standing tacit understanding between the two sides of the strait, and criticized it as deliberate, reckless and provocative. The behavior, "We have informed the partners in the region to condemn the Chinese military for such provocative behavior." In this regard, the legislator Wang Dingyu also praised the Ministry of Foreign Affairs' ability to handle this incident and accepted media interviews. He mentioned that since US President Trump took office, the US has frequently replaced the name of "Asia Pacific region" with "Indo-Pacific region". . The United States is actively taking various actions to prevent China from acting in isolation against Taiwan. The US military also believes that it should strengthen cooperation with the Taiwan military. In the past, Assistant Secretary of the Asia-Pacific Affairs of the US Department of Defense, Xue Ruifu, has repeatedly advocated the inclusion of Taiwan in regional security. network. Wang Dingyu also speculated that this time, the Ministry of Foreign Affairs told the people through the opportunity to cross the Taiwan Strait to have a "safe regional alliance". Therefore, in the event of certain major diplomatic military affairs, Taiwan has the responsibility to inform the partners of the Indo-Pacific region. Threats, and each other secretly formed a new strategic alliance partner to contain China’s military expansion.